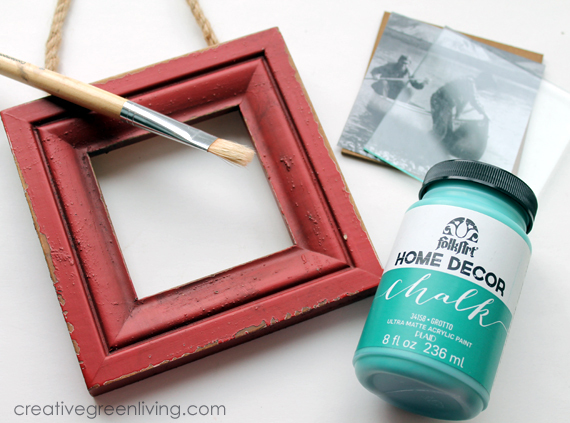 Assuming the picture frame isn't already the color that you want, go ahead and paint it. 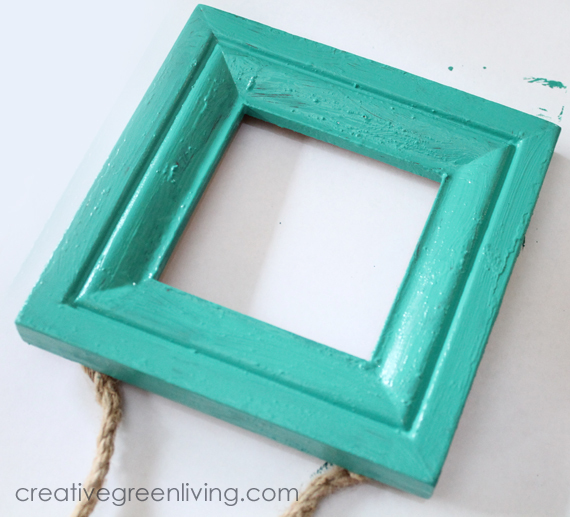 I used FolkArt Home Decor Chalk Paint in Grotto to change my frame from red to teal. Remove the glass, backing, etc. before painting. While waiting for the paint to dry, get started on your vinyl transfer. 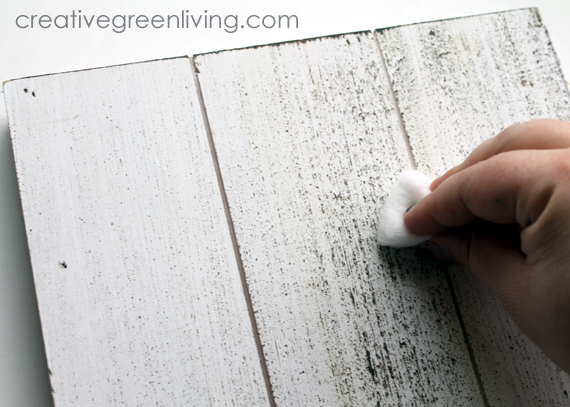 Make sure the area is clean from dust and debris by wiping it down with rubbing alcohol on a cotton swab. This might seem silly since the surface is a bit rustic to begin with but it really helps to get any extra dust off that will interfere with the vinyl. Next, slowly peel the backing off the vinyl transfer. 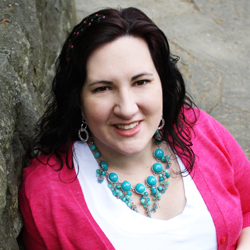 I'm using a premade transfer from Decorating Your Life. 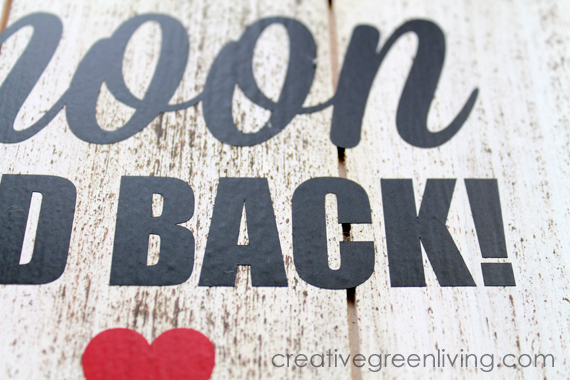 If you have a fancy cutting machine like a Cricut or Silhouette, you can whip up something pretty similar. I own both and sometimes it's just nice to have it done for you. 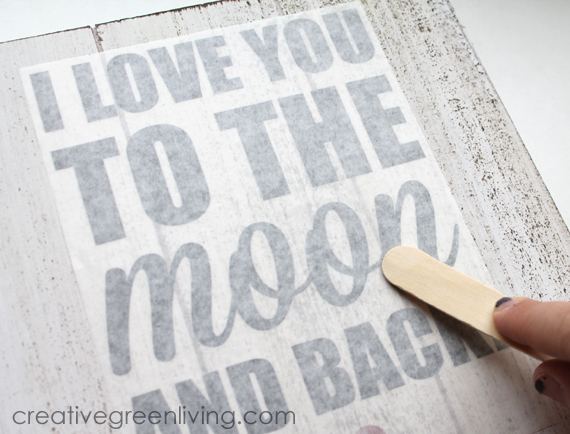 Center the transfer on your board and use a large popsicle stick to rub the back of the transfer tape to get the letters to transfer to the pallet. 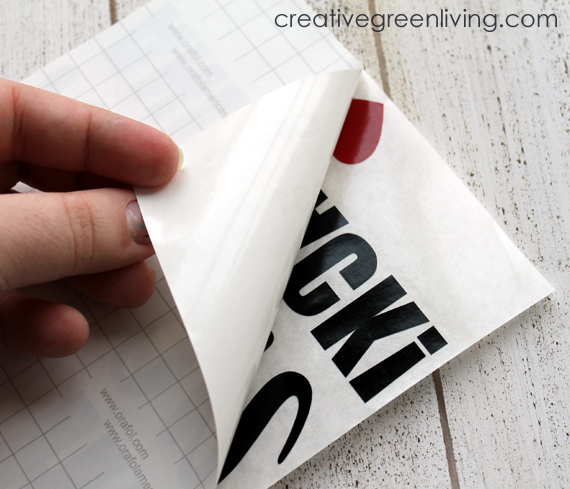 Once you've rubbed over every single letter really well, carefully peel up the transfer tape at a sharp angle. After I peeled up the tape, my transfer had adhered beautifully but there was a problem: the letters ran over the gutter - which made them awkward looking. To fix my "floating letter" problem, I carefully ran my craft knife down both sides of the gutter to cut out the pieces of the letter that were floating over the ditch. Problem solved! 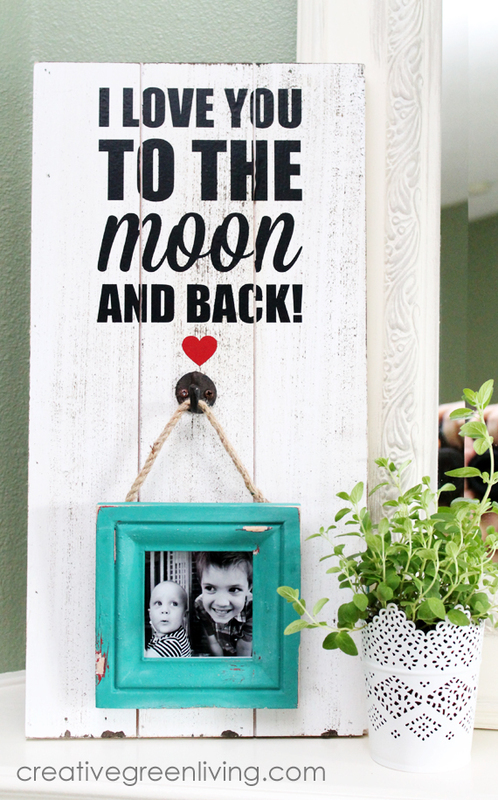 The picture frame is meant to hang from a hook below the words so go ahead and install your hook. 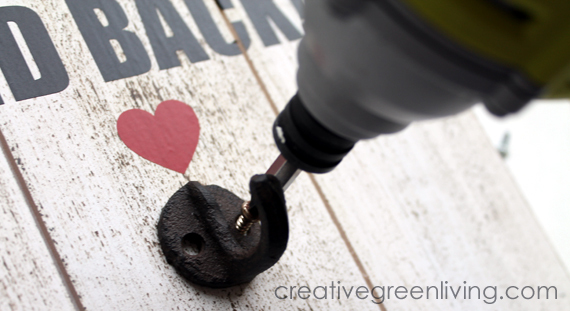 Of course, any time I have an opportunity to use my Ryobi impact driver, I take it! To distress the frame, I used a 120 grit sanding sponge around the edges and on the corners. To get through the original red paint and down to the wood, I also used a flathead screwdriver on a few areas to chip the paint. 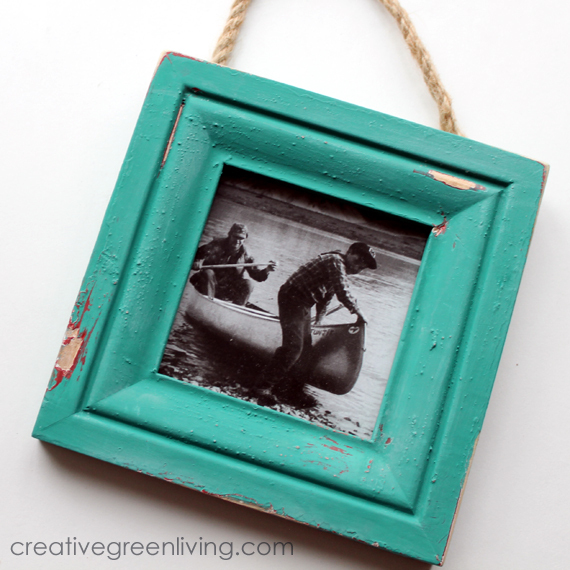 To make the picture frame hangable, add a length of sisal rope to the back of the frame. Mine conveniently came with rope but it was too long so I popped out the staples, shortened it and re-stapled it. To help keep it from slipping, I recommend stapling it twice on each side. 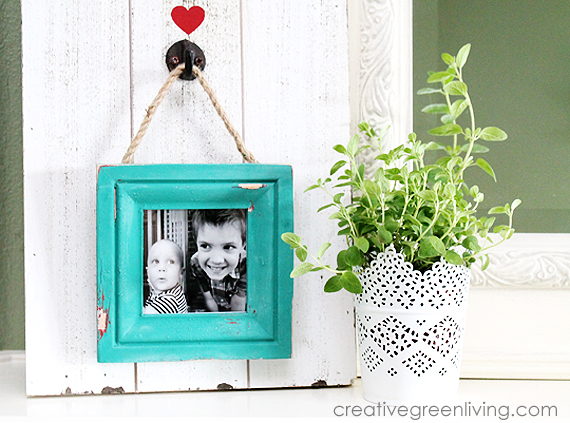 Step 6: Add your picture and hang it up! 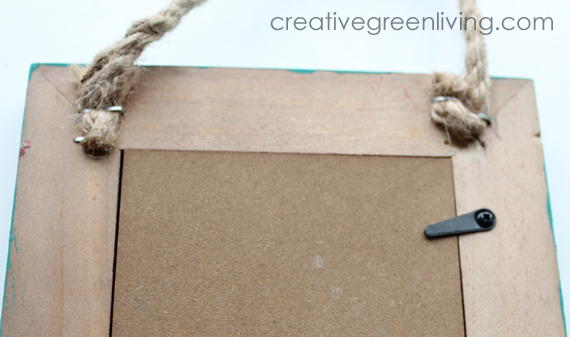 If you loved this project don't forget to pin it! I love it! 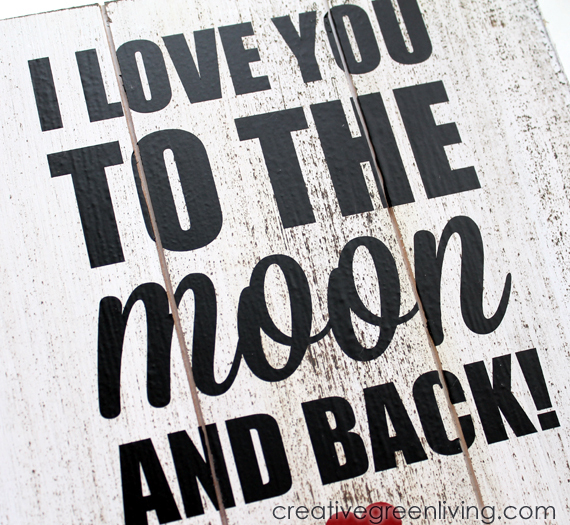 You said you have a Cricut and a Silhouette - do you have a preference on which one you like better?